Dr. Peltier joined the faculty in the Department of Neurology in 2005. 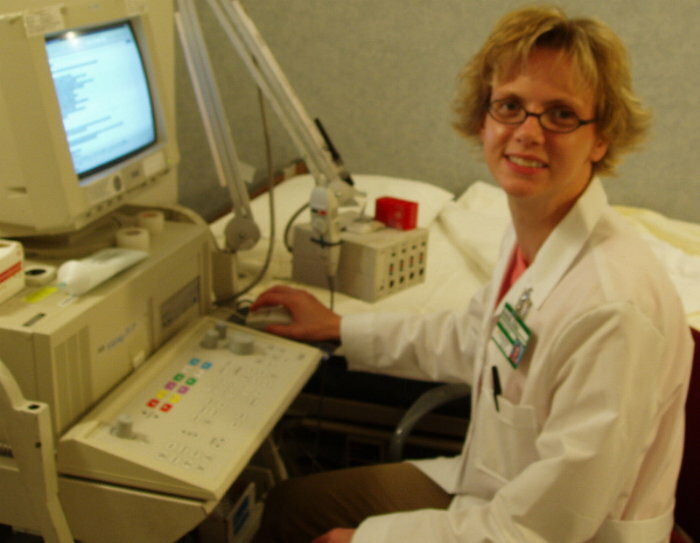 She graduated from Denison University in 1994, and the Ohio State College of Medicine in 1998. She completed her residency in neurology in 2002, and her M.S. in clinical research design in 2005. Dr. Peltier has been awarded the Samuel J. Roessler Memorial Medical Scholarship, and has been recognized by the Landacre Society, College of Medicine Research Honorary Society. She has also received the IFCN Young Investigator Fellowship Award. I specialize in nerve and muscle disease, and autonomic dysfunction. I see patients with amyotrophic lateral sclerosis (ALS), chronic inflammatory demyelinating neuropathy (CIDP), and neuromuscular junction disorders such as myasthenia and myasthenic syndrome. I am interested in nerve damage associated with diabetes and prediabetes, and have been a coinvestigator in an NIH funded multicenter study on Impaired Glucose Tolerance Associated Neuropathy. My current research focuses on the etiology of autonomic dysfunction in sleep apnea patients. My research goal is to identify biomarkers or tests useful in diagnosing neuropathy at earlier stages where it may be treatable. Peltier AC. Bishop GA. The site of origin of calcitonin gene-related peptide-like immunoreactive afferents to the inferior olivary complex of the mouse. Neuroscience Research. 34(3):177-86, 1999. Neurology. San Diego: MedLink Corporation. Available at www.medlink.com. Peltier AC. Russell JW. Recent advances in drug-induced neuropathies. Current Opinion in Neurology 2002; 15(5):633-38.